Testing Sony's latest free-to-play MMO, EverQuest Next Landmark, isn't free. Over the past few years, Sony Online Entertainment has developed quite a reputation for nickel-and-diming its customers. And with the impending release of EverQuest Next Landmark, gamers are a little nervous about how Sony's business practices will affect the next chapter in the EverQuest franchise. Unfortunately, Sony has managed to dig up a depressing new revenue stream. Despite Landmark being a free-to-play MMO, fans of the series will be required to open their wallets if they'd like to participate in the testing process. 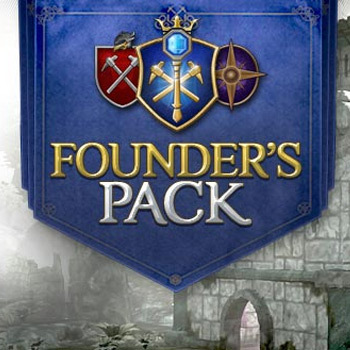 Potential testers will need to purchase one of the Landmark Founder's Packs, a set of bundles that start at 20 dollars. The Settler Pack, Sony's cheapest option, includes beta access, a speciality item called the Founder's Pickaxe, and a Settler's Flag--something that you'll need to claim a plot of land. The Explorer Pack, which will drain 60 dollars from your bank account, includes alpha access, an Explorer Flag, and a slew of other in-game items that will make players complain about Sony's pay-to-win strategy. Landmark's most expensive option, the Trailblazer Pack, includes four sharable keys, alpha access, and your name in the credits. It'll cost 100 bucks, though. Sony will start the alpha testing process on February 28th, and the beta will open on March 31st. So, if you have some extra cash lying around, and enjoy paying for free-to-play titles, EverQuest Next Landmark has your ticket to happiness.